Every standard PedalSnake System starts here. 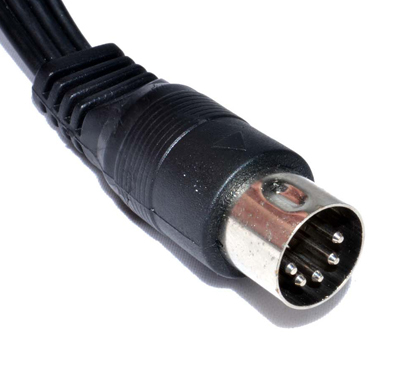 Channels terminate in 5pin DIN plugs (like MIDI plugs). Used by themselves, bare BaseSnake channels can replace MIDI cables, certain amp footswitch lines, etc. For more see BaseSnake Info. G-Line™ Pigtail Kits (1/4" GuitarLines) plug into BaseSnake channels to replace your 1/4" guitar cords. Carry guitar signals, like regular guitar cords, or use them for 1/4" amp footswitch lines. Choose from Mono, Atereo, and Dual (2 mono lines from one channel). For more see G-Line Pigtails Info. P-Line™ Pigtail Kits (PowerLines) have standard 2.1mm power connectors (like Boss, Dunlop, etc.). If you choose PedalSnake's Low Voltage Method, you can lose the AC power cord, and carry power to pedals from power supplies at the backline. For more see P-Line Pigtails Info. Pigtails come in 2-Pack Kits—one for each end of a BaseSnake Channel. PedalSnake® is the trademark for Stage Magic Inc’s All-In-One Stompbox Cable. Copyright © 2015 Stage Magic, Inc.